Enjoy the Mediterranean sun as you recline on your lounger, or get comfortable on a deck chair. Specially fitted pool ladders at the rear are perfect for slipping into the sea for a swim or snorkel while the yacht is stationary, so you can explore the crystal-clear waters of the Adriatic Sea. 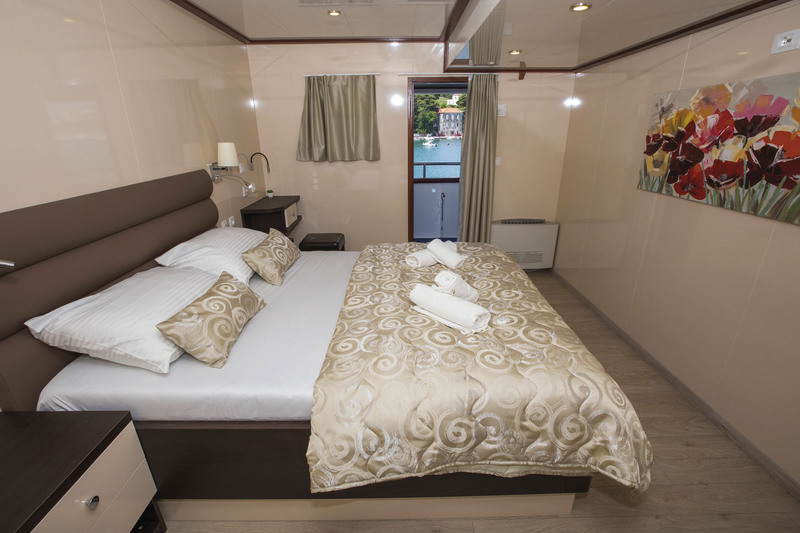 Designed and crafted to navigate Croatia’s remarkable Dalmatian coast, the MV Adriatic Princess is a 5-star yacht providing safe and luxurious passage on the eastern Adriatic. 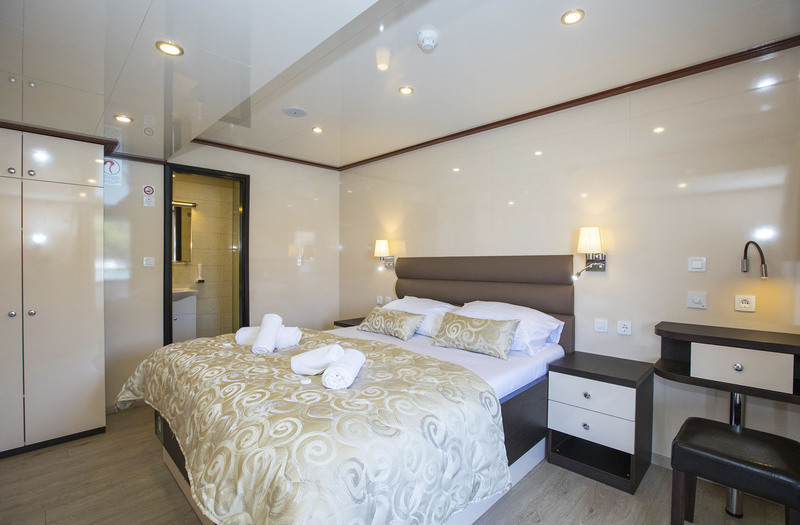 Seeking to provide guests with an authentic and immersive experience, we have chartered this elegant vessel exclusively for our The Islands of Dalmatia itinerary – so you can enjoy the luxury and refinement of a boutique hotel coupled with our exceptional EmeraldVALUE. Launch on the waters of Dalmatia in 2017, the MV Adriatic Princess has been specifically built to navigate Croatia’s eastern seaboard, where it will slip effortlessly into small ports and islands that larger vessels simply can’t access – including Trogir and Korčula. The ship is also equipped with the very latest navigation and safety technology, ensuring safe and comfortable passage through these island-strewn seas. 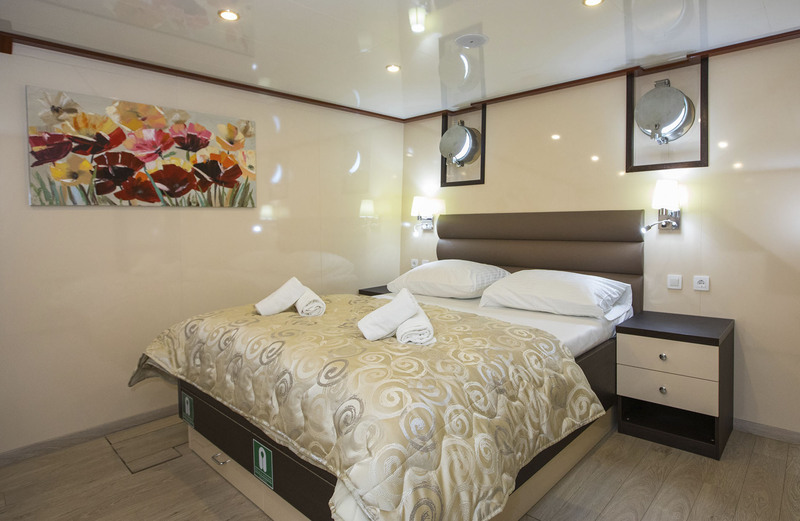 By its nature, the MV Adriatic Princess is an intimate and refined yacht, and this is echoed in its on-board accommodation. 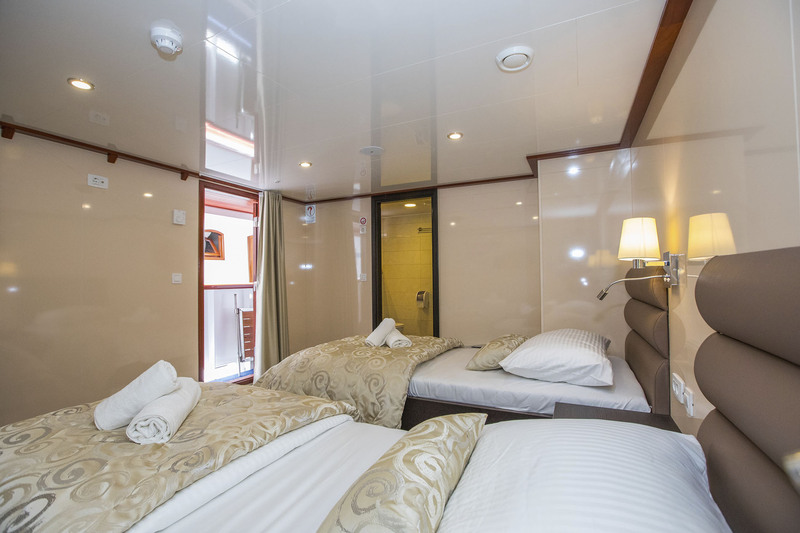 A total of 18 en-suite guest cabins afford a maximum capacity of just 36 guests per sailing, adding to the ship’s sense of luxury and exclusivity. Each suite is generously appointed to ensure a comfortable bolthole for the journey ahead, with features including complimentary Wi-Fi, LCD TV and high-quality linens, as well as a window or porthole from which you can watch the day’s destination slide into view. Step from your cabin, and you’ll be impressed by the elegance and scale of the yacht’s spacious public areas. From the luxury open-plan restaurant, where you can enjoy a choice selection of inclusive breakfasts, lunches and dinners, to the al fresco lounge and spacious sun deck, where majestic views are guaranteed – the MV Adriatic Princess is your stylish home-from-home as you immerse in the wonders of the Dalmatian coast. A floating boutique hotel This exquisite yacht has been created to make the most of the beautiful weather. Enjoy the Mediterranean sun as you recline on your lounger, or get comfortable on a deck chair. Specially fitted pool ladders at the rear are perfect for slipping into the sea for a swim or snorkel while the yacht is stationary, so you can explore the crystal-clear waters of the Adriatic Sea. You’ll be welcomed on-board by knowledgeable and friendly crew who will be available to answer any questions you have and point you in the direction of the best onshore restaurants and bars to spend your free evenings in, dining on excellent cuisine, mixing with the locals and getting to know the spectacular history of this truly breath-taking part of the world.